CINCINNATI -- Music Hall, we're so happy to see you again. After being closed for a year and a half to undergo $143 million in renovations, the 139-year-old building in Over-the-Rhine is finally ready to debut its new look to the public. Don't have tickets to Friday's opening concert? You'll have a chance to see it for yourself on Saturday, during a free community celebration. Or just keep scrolling. Use your mouse (or finger, if you're on mobile!) 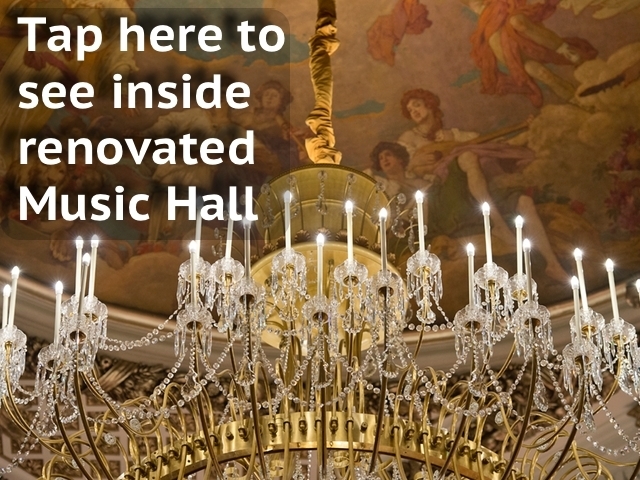 to move around these panoramic images of Music Hall's renovated Springer Auditorium and lobby. These GIFs show Music Hall's lobby, exterior and Springer Auditorium before and after the renovations. Can you spot the differences? Take a look inside our photo gallery to see more of the renovations.